I am truly a curry lover as many of you know. I must have been Indian in a previous life. So if any of you are like me, you will love this pie. I have used my usual pastry recipe but added a little turmeric to the dough which gives it a pretty yellow hue and a little Indian flavor! Before you start this pastry, please follow these steps. Put the measured flour with the baking powder and turmeric in a bag, the water and the butter in the freezer for about 2 hours. Cut the butter in small cubes BEFORE as otherwise it would be too difficult to cut the butter once frozen. Take the items out of the freezer, place the flour mix and the butter pieces in a food processor and mix until it looks like coarse crumbs. Start adding the Vodka followed by the icy water till it starts coming together. Be flexible with the ratios, some times it needs less liquid. Tip the dough in a plastic bag and knead it briefly through the plastic and then place in the fridge for another two hours before using. You do not have to use any paper when rolling out the dough. It is soft and pliable and does not stick. Use this dough for any of your savory pies, qassatat or quiche bases. It behaves perfectly! Whilst the dough is chilling, you can prepare the filling. Boil the potato cubes and diced carrots in a small pan until soft. In another pan, sauté the onion until translucent in a little oil. Add the minced beef together with the garlic, ginger, chilli, spices, stock, seasonings and tomato paste and brown, adding a little of the water from the boiled potatoes if too dry. Not too much as mixture has to be slightly dry. 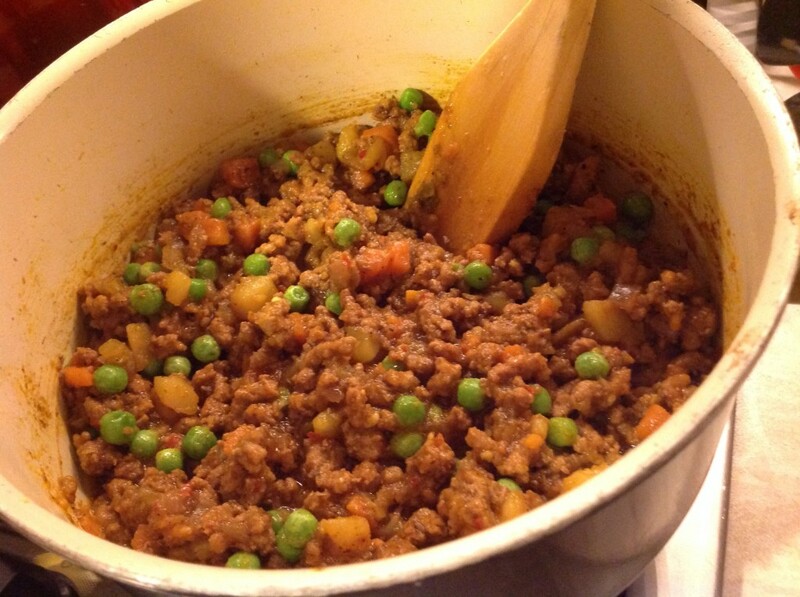 Add the boiled potato cubes and diced carrots mixing them in well with the mince mixture. Add also the peas. Stir and cook for 5 minutes. Remove from heat, add the garam masala and set aside to cool. 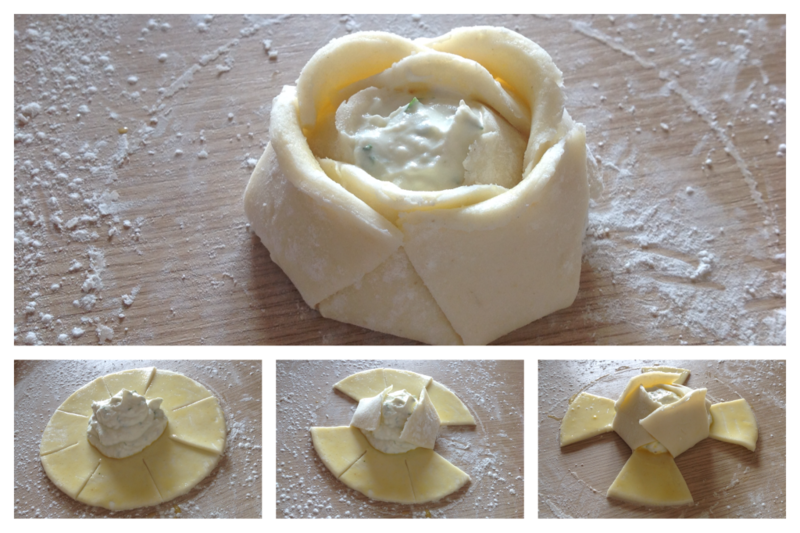 Remove pastry from the fridge and according to your individual oven dishes, divide the pastry. Roll out each piece and cut in a circle. 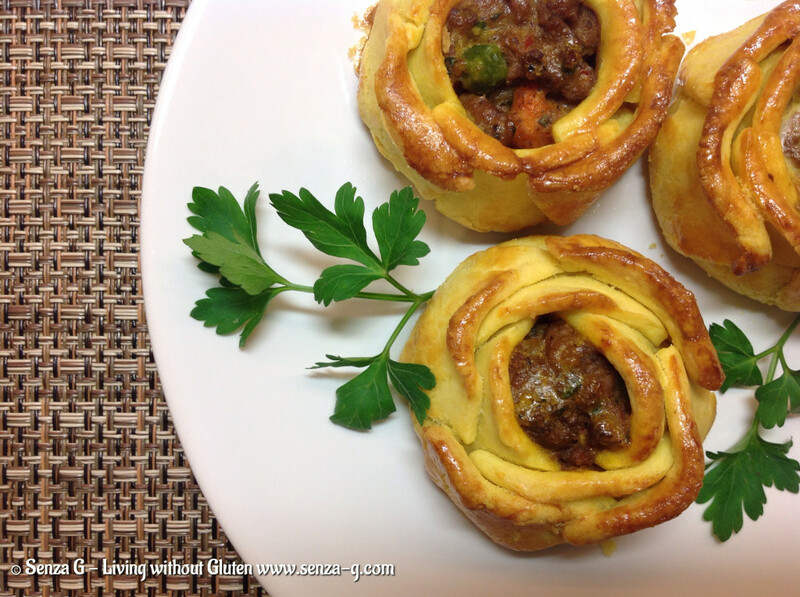 Line your ovenproof ramekins/dishes with the pastry circle, leaving an overlap. Cut another small circle out of the pastry. Use a star shape and cut out a star in the middle of the circle (for steam to escape) . 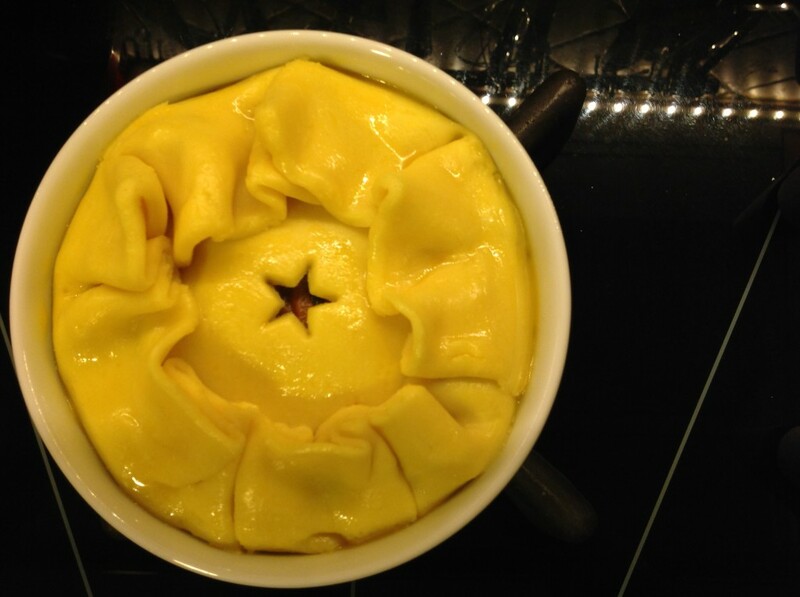 Place the filling in the centre of each lined ramekin, top with the smaller circle, wet the edges of the circle with water and fold over the overlapping pastry onto the smaller circle. 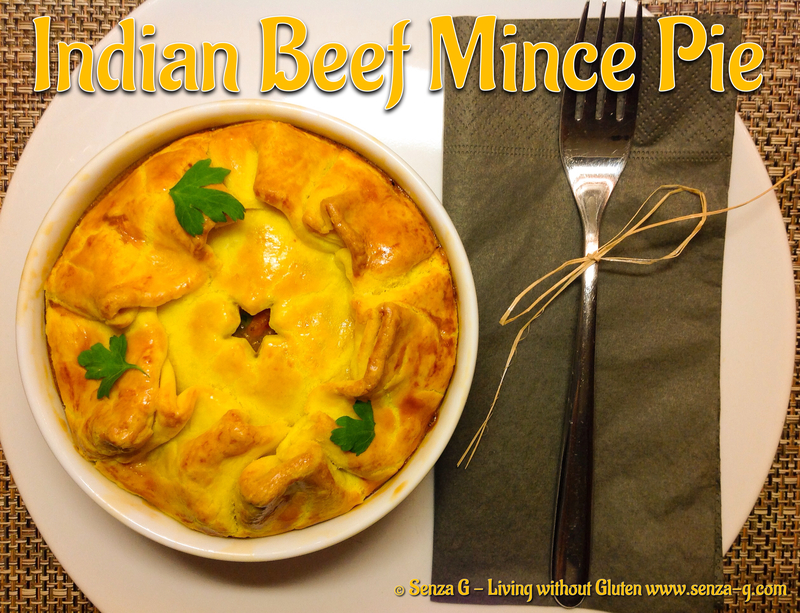 You can also make them into little pies, same way I make the Qassatat – perfect for parties. … to look like this !